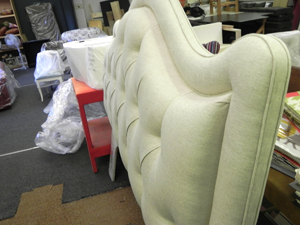 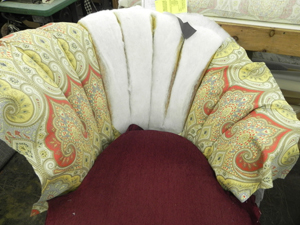 Original chair was brought into store for a complete restoration of frame and upholstery. 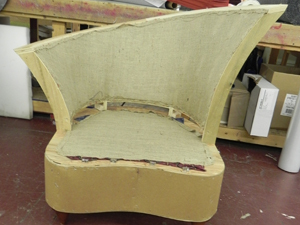 All existing fabric, foam and springs are removed to expose original frame. 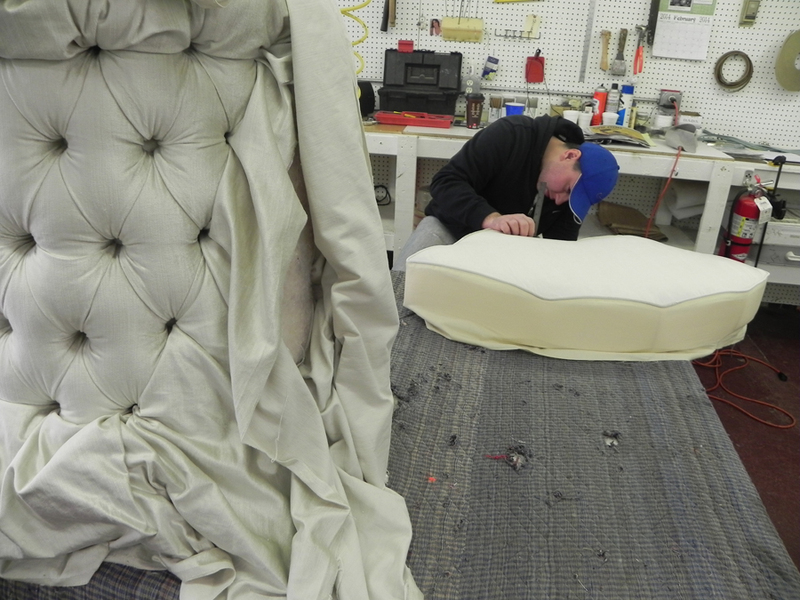 All frame imperfections are repaired and our expert craftsmen install new springs and padding to ensure the best quality. 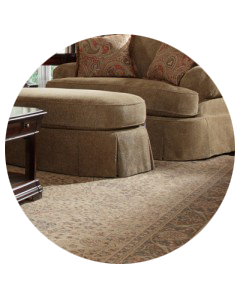 Fabric pattern selection is confirmed through customer consultation to guarantee satisfaction. 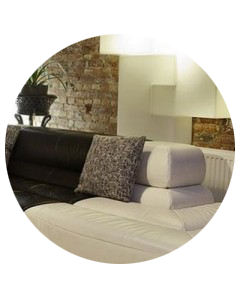 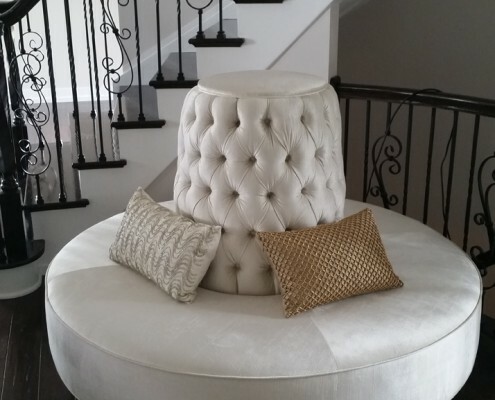 Review from our extensive fabric choices or bring your own fabric in for us to use. 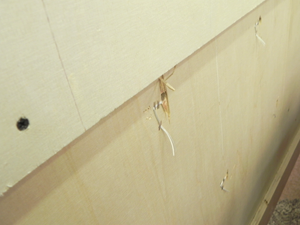 Once the pattern has been confirmed the final stages of construction are completed. 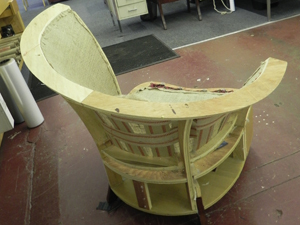 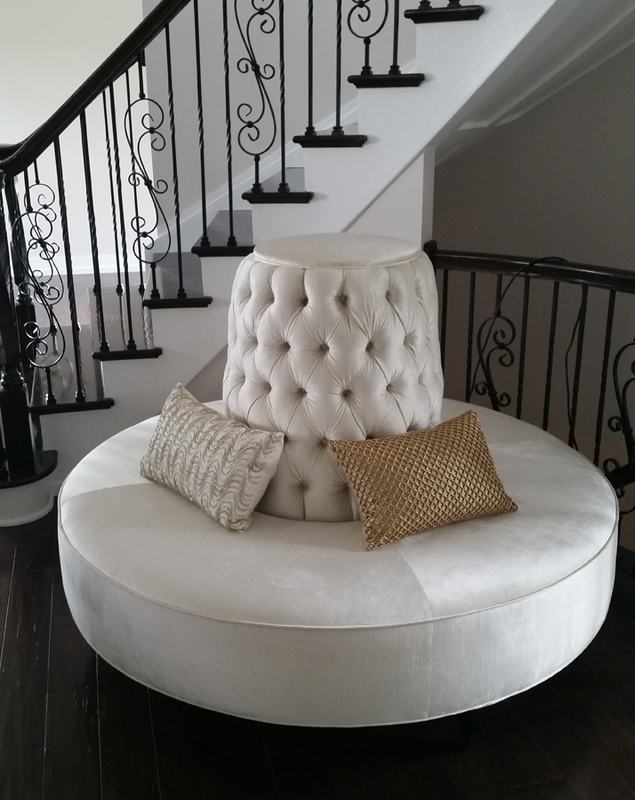 Completed Fan Back chair delivered to homeowner. 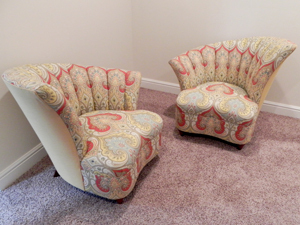 Call today and talk with one of our design consultants at 412-471-8224. 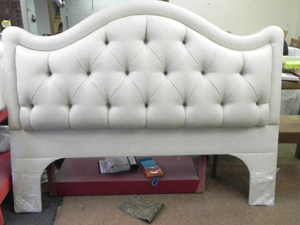 Multiple varieties of headboards are available. 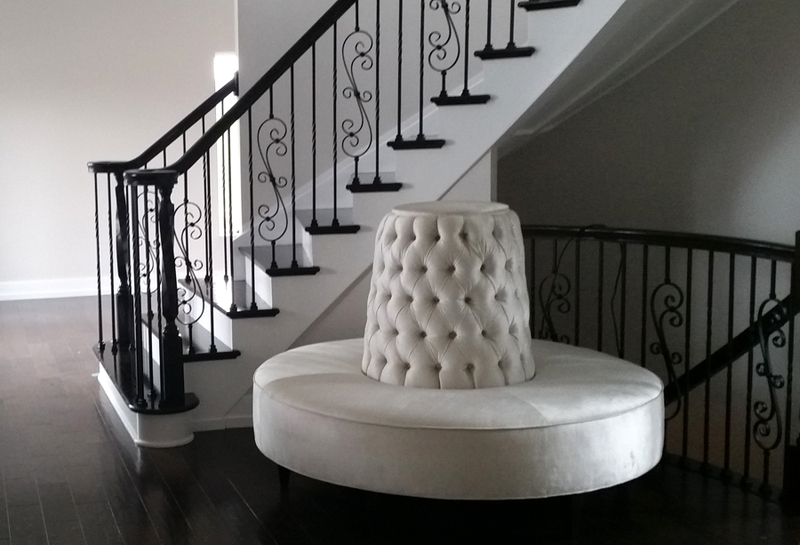 To achieve your desired look an in-home consultation is crucial as the first step in the design phase. 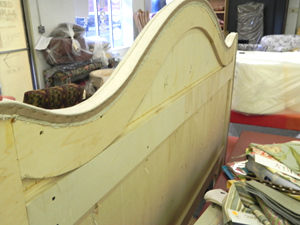 Limitations must be assessed to properly plan the execution of your custom headboard. 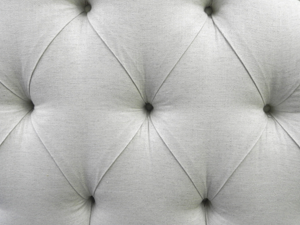 To complete the one-of-a-kind luxurious aesthetic, high-density foam must be installed followed by the fabric of your choosing. 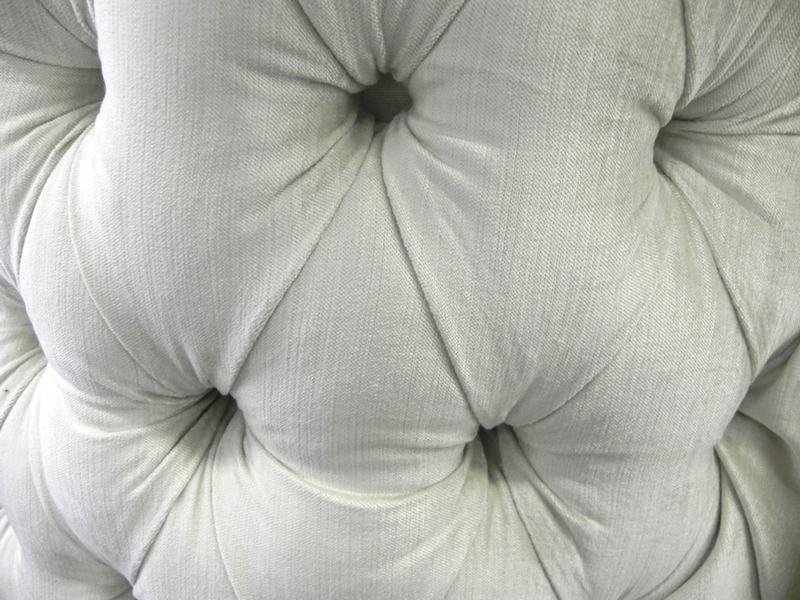 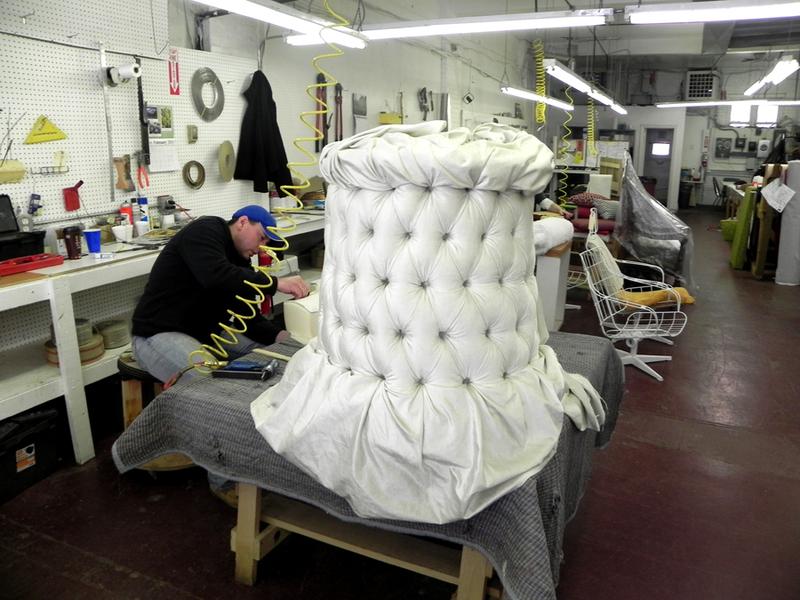 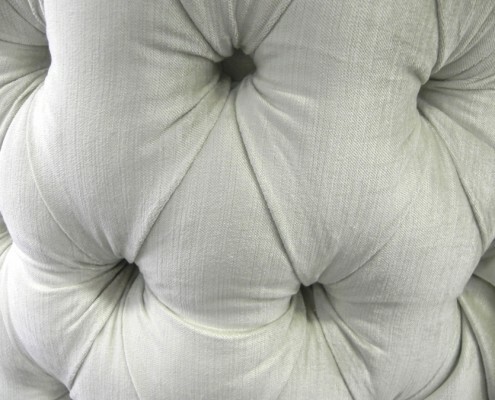 Once the desired look has been achieved your custom headboard is ready for installation! 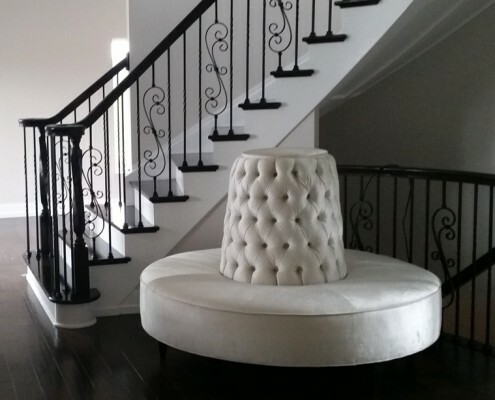 Gene Sanes and the Movies!